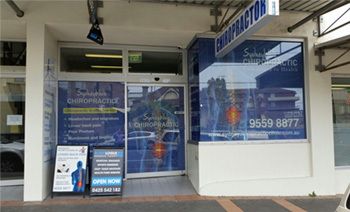 Neck pain is the second most common reason that new patients seek Sydney Wide Chiropractic's services. Neck pain affects an estimated 15% of the population each year. Sydney Wide Chiropractic is becoming the first choice for treatment of neck pain, due in part to our success in helping patients. The best direction is to find out the cause of the pain and attempt to correct it.That is the chiropractic approach. Chiropractors are trained in the diagnosis of spinal misalignment and how to correct them. It usually requires a detailed examination, where the chiropractor will test range of motion, perform orthopedic tests, neurological tests, strength tests and palpate the spine.Palpation is a chiropractor's greatest tool. By feeling the tissue around the spine Mr Prorellis can sense changes in alignment, muscle spasm, tissue temperature, tenderness and texture helping him or her find areas that are misaligned. These misalignment's are called subluxations and are predominately the cause of neck pain. Correcting subluxations can be achieved through several techniques.Chiropractors are also educated in selecting the best method to correct misalignments, making the experience as comfortable as possible for the patient. For more information or to schedule a consultation with one of our chiropractors please contact Mr Prorellis today on (02)9559 8877. He has over 10 years experience in helping people with neck pain, neck tension and headaches.